When searching for the ideal luxury property in Honolulu, HI, you need the help of a talented high-end real estate company. At Engel & Volkers Honolulu, clients will receive professional guidance and a wealth of resources to track down the perfect property. From beachfront homes to quiet lots away from the outside world, their skilled team of real estate agents has an array of exclusive listings for you and your family to review. With more than 40 years of experience, the global company has the expertise to help both homebuyers and sellers. They utilize the latest technology in the industry to narrow home searches for clients. You can count on them to close deals in a timely manner in order to have your family situated in a new home quickly. Navigate the selling of your property with assistance from their trusted real estate agents. Their passion for selling your property at top dollar is second-to-none in the industry. You’ll receive insights into advanced marketing measures and evaluations that will give you the competitive edge your home deserves. In addition to home buyers and sellers, their team works with commercial clients to help you find the perfect location for your business. 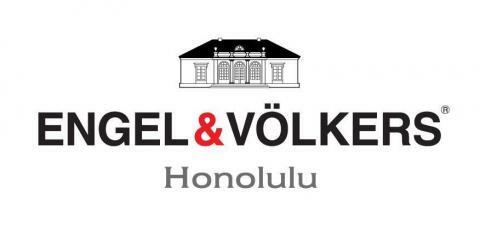 When searching for a premier luxury real estate agency, reach out to the proven team at Engel & Volkers Honolulu. Call them today at (808) 550-0818 to schedule an appointment or visit them online to begin browsing current listings.